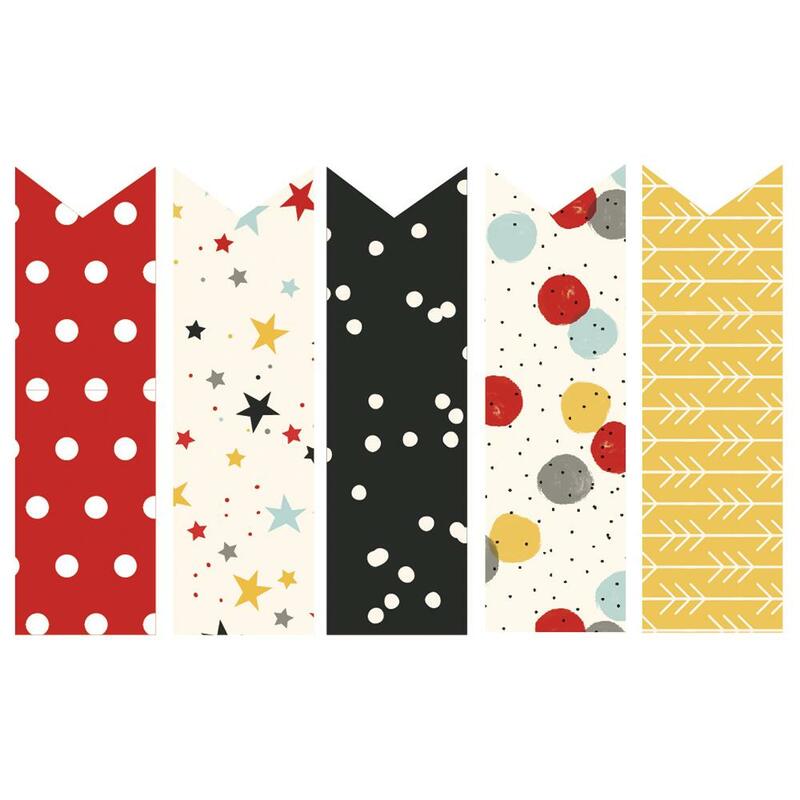 This package contains five (5) Designs of Page Flags to help you Label, Journal, Highlight etc your Craft Projects. You'll find thirty (30) Page Flags of each design. Look for coordinating Decorative Brads, Page Flags, Stickers, Decorative Clips, 12x12 Designer Papers, 6"x8" Paper Pad, and Blank Journal Books.